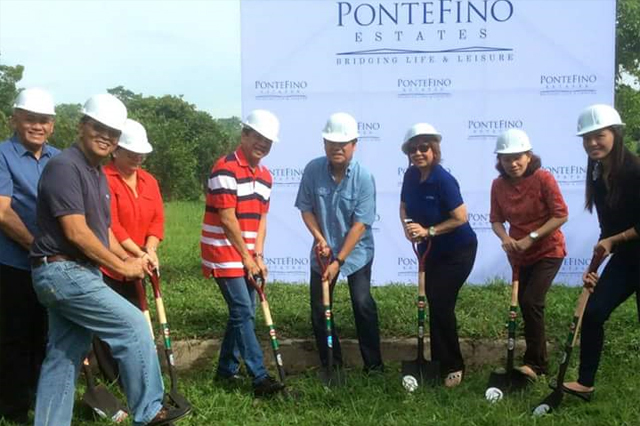 CAGAYAN DE ORO, Philippines—A groundbreaking ceremony was held last August 7, 2015, for a new real estate development from Pontefino Estates, the premier real estate developer in Batangas City. Pontefino is looking to expand its reach to the Heart of Northern Mindanao through an upscale new community for CDO residents. Located along Masterson Avenue in Upper Carmen, this new development is nestled in a prime spot near SM Cagayan de Oro and the Xavier University campus. At an initial size of 23 hectares, it is slated to be flood-free and eco-friendly. Not only will this development help preserve the beauty of the environment, it also provides a new location for corporate offices, due to its close proximity to high-end residential subdivisions and commercial establishments. It also has an edge over other real estate developments in the area through a convenient, residents-only access road to the main highway.